The British may be picking their way through a political minefield at the moment, but that hasn’t stopped their creative spirit. 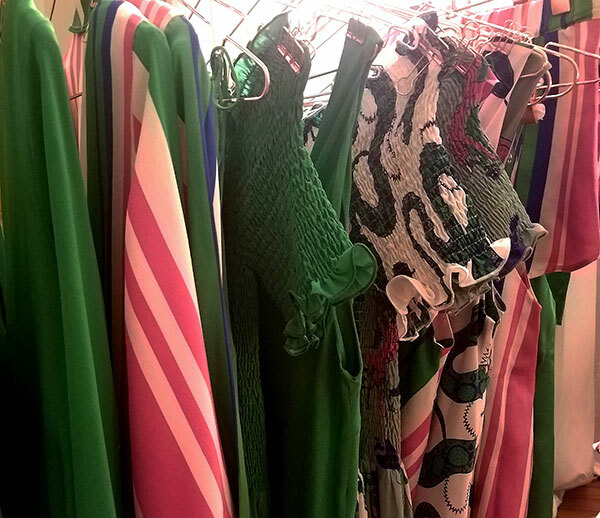 Still kitschy and unabashedly eclectic, there are always cool items of lingerie design interest at the Paris shows. 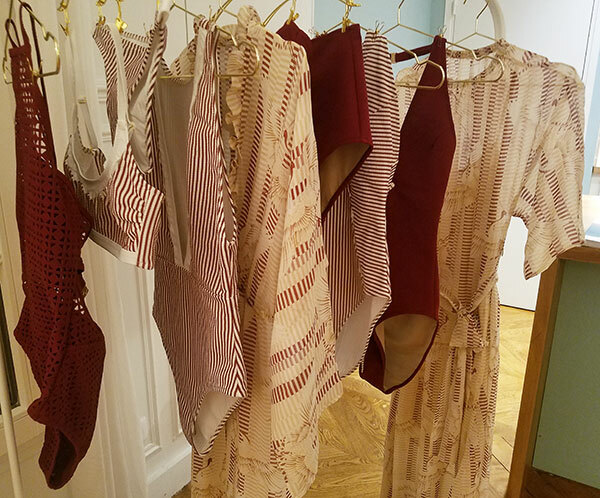 (More from Salon International de la Lingerie next week) Today, I am focused on the private Paris appointment scene where more and more brands are pooling their resources to create mini expos in small studio spaces. It’s like pop ups for wholesale trade. This is how I came to visit Violet & Wren, Evarae, and Hesper Fox, three luxury English brands that took up a 3 day residence in the Paris Marais to work by appointment only with buyers. There’s always a kernel of inspiration at these intimate events. 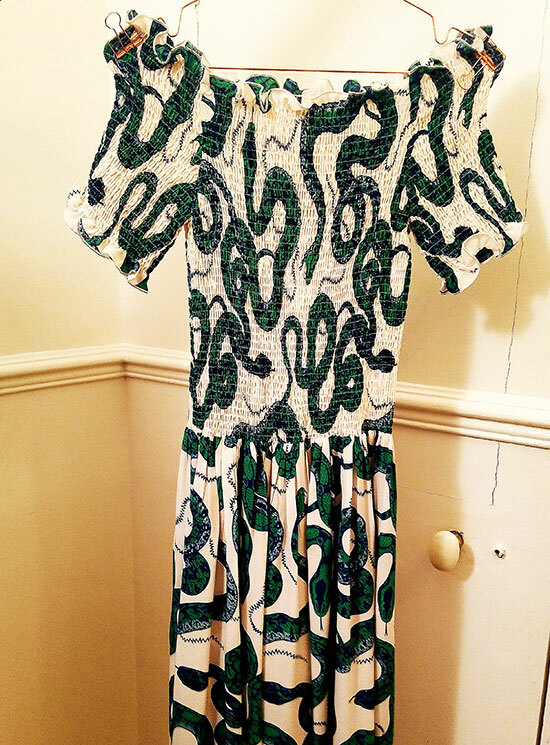 This time it was Snakes, Swans and Silk Stories. Violet & Wren was my initial objective. I was invited by co-founder Louise Barnard whom I met several years ago when she first showed her line at Salon de Lingerie. 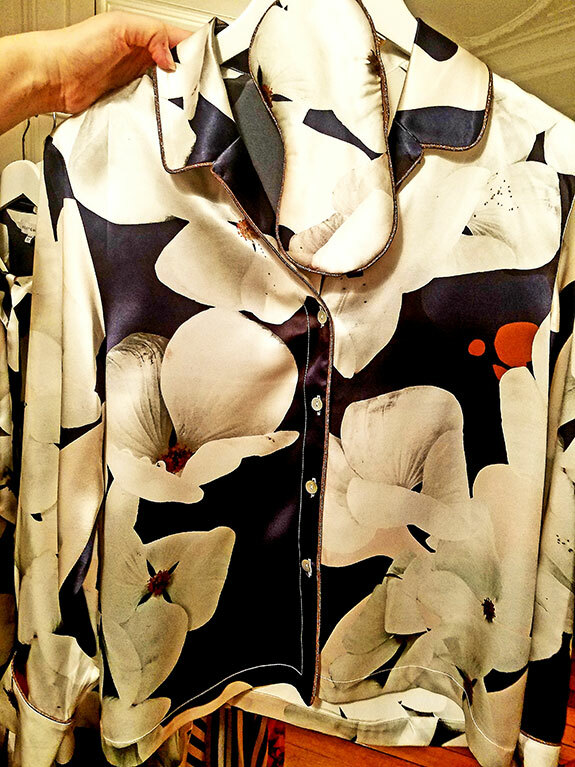 The collection is a luxurious mix of giant floral blooms, contemporary stripes and lurex piping that form dynamic patterns on silk pajamas. The value is in the quality and originality of these crossover pieces. Evarae’s elegant lifestyle swim collection was an unexpected treat. 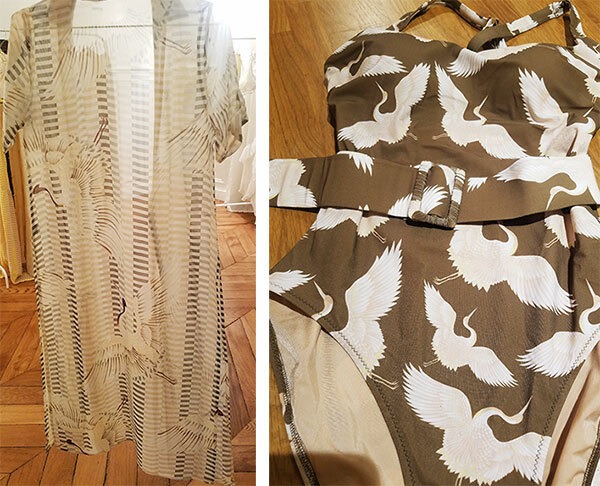 Sheer pieces anchored by a large swan print made me think of Cabo’s hotel venues. Of course, these are a far cry from the beachwear I wear in Mexico, but perfect for the rich resort world that makes Cabo San Lucas (and many Mexican ports) a playground for the affluent. Designed in London and made in Italy, in just 3 years it has established an international following.